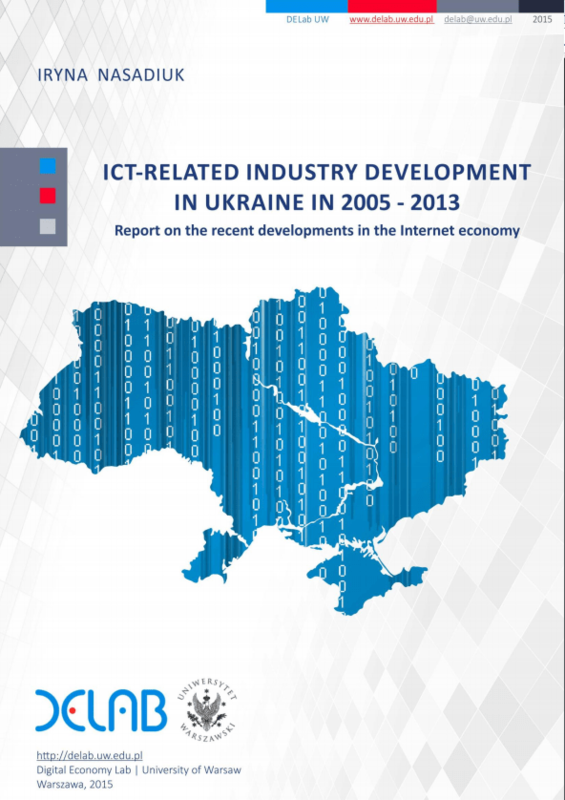 The study focuses on the current state of ICT sector development in the modern economy of Ukraine. The analysis of major economic indicators dynamics and statics is made at the level of national economy, ICT sector and ICT enterprises. The study of ICT enterprises is based on the unique dataset of 6.5 thousands enterprises that belong to the ICT sector according to the Ukrainian KVED classification. The study discussed major indicators of ICT sector development: the contribution of ICT in total GDP and output, total exports and imports, in total employment, consumer prices. The micro-level indicators describe total revenues and employment growth, fixed and tangible assets development, labour and total factor productivity levels, market concentration levels. The papers makes comparison between ICT sector indicators and all firms average indicators. The correction is made to exclude holdings companies from the sample. Attention is paid to the indicators of Internet penetration in retail trade, number of Internet, mobile communication and cable users in the Ukrainian economy relative to other countries. The current Ukrainian government digital economy policy is described as a number of new initiatives (e-government, IT sector business climate improvement, digital skills development) that have been launched as part of vast reforms agenda of Ukraine.